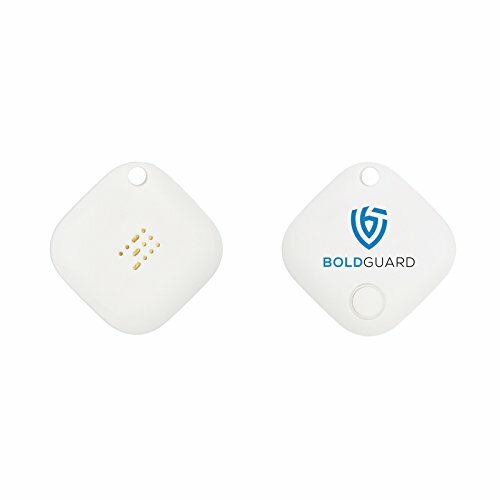 Boldguard Tracking Device - Bluetooth Smart Personal Anti-Theft Tracking Device - Square - Perfect for Men, Women, Kids, and Valuables (White) by Boldguard at iShare Maps. Hurry! Limited time offer. Offer valid only while supplies last. High-Performance Tracking Device for the Detective in YouWant to be able to track the Montezuma's Treasure? Well, that's crazy. Can't help you there. Want to be able to track the Montezuma's Treasure? Well, that's crazy. Can't help you there. But, how about tracking your keys, wallet, phone and other valuables at home or office with a small device? That part we can help with. This small but powerful tracking device is just what you need. Whether you constantly lose your keys, wallets and phone or have kids or pets who misplace your valuables, this tracking device is perfect. NEVER LOSE YOUR VALUABLES AT HOME OR WORK: Do you forget the location of your valuables? Do you lose your keys or wallet at home or office? Do your kids or pets tend to misplace your belongings? Perfect, that is what this tracking device is for. PHONE FINDER: How scary is it to lose your phone? This small tracking device also can be used to find your phone. Click the button and your phone will buzz if it is in the range! What a relief! TAKE PICTURES: This small tracking device can take pictures on your phone remotely. It uses Bluetooth tracking technology to help you take a picture while you are away from your phone. SMALL SIZE: A personal tracking device that is designed for men and women with a beautiful design. It can be attached to your keys, placed in your wallet or other valuables. USER FRIENDLY: A simple app and high-performance connection with your cell phone, high-volume buzz as well as our educational videos make this smart anti-theft tracking device an extremely user-friendly product. If you have any questions about this product by Boldguard, contact us by completing and submitting the form below. If you are looking for a specif part number, please include it with your message.